After controlling the Craftsman name for 90 years, troubled department store operator Sears said it will sell the famous tool brand to Stanley Black & Decker Inc.
Stanley, which makes and sells tools under the DeWalt and Black & Decker names, wants to grow the Craftsman brand by selling its products in more stores outside of Sears. 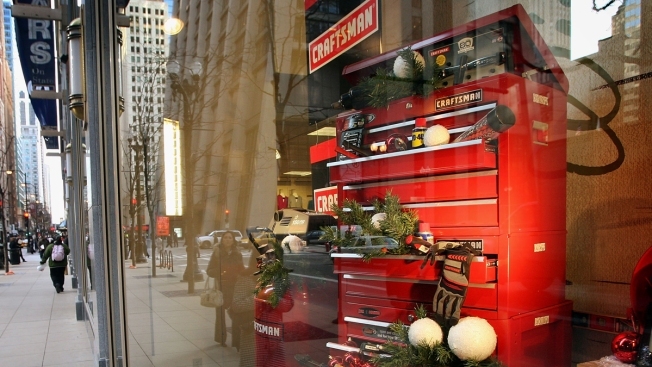 Today, only 10 percent of Craftsman products are sold in other stores. Sears said it will continue to sell Craftsman, including at its Kmart and Sears Hometown stores. The Hoffman Estates, Illinois-based company first took control of Craftsman in 1927 when it bought the trademark for $500. Sears has struggled, losing money for years as its revenue fell. The company also announced plans Thursday to close 150 stores, about 10 percent of its total 1,500 locations. And last week, the company said it received a credit facility for up to $500 million to provide it with cash as it sells assets. Shares of Sears Holdings Corp., which are down 45 percent in the last 12 months, rose 6 percent to $10.94 in midday trading Thursday. Stanley will pay Sears about $900 million for Craftsman, which includes $525 million when the deal closes this year, $250 million after three years and a percentage of sales for 15 years. After 15 years, Sears will start paying Stanley 3 percent of the Craftsman sales it makes. Shares of Stanley, based in New Britain, Connecticut, rose 1.4 percent to $117.90. Stanley said it plans to hire more workers and open a new U.S. plant to make more Craftsman products, but didn't provide details.